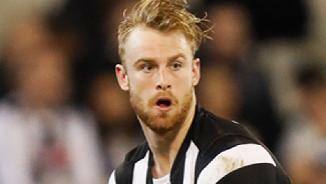 Jonathon Marsh has announced his retirement from the AFL, removing himself from Collingwood’s senior list ahead of today’s List Lodgement 2 deadline. 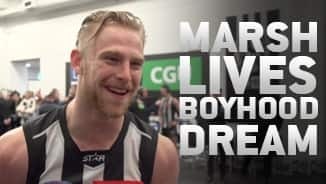 "I thought I'd ruined my chance"
Collingwood Media presents Jonathon Marsh's story of his days as a prospective draftee. "I was writhing in disappointment"
Tall, explosive and highly competitive, Marsh has made great strides in his first two years at the Holden Centre. Recruited as a mercurial half forward, he was quickly moulded into a reliable key defender who uses his closing speed and long reach to great effect. It was outstanding VFL form in this position that saw Marsh make his debut in late 2015 and give his career an exciting boost. Despite being just 19 years of age, Marsh immediately assumed somewhat of a leadership position upon returning to the VFL Magpies line-up in 2015. After starting his career as a half-forward, he played exclusively in defence from the beginning of the year in a decision that immediately proved a winning move. He marked with authority, ran strongly and rebounded from defence better than any other of his VFL teammates during 14 games under Dale Tapping. The final of these games – a 20-disposal, 11-mark performance against Williamstown – would be the last VFL home and away game Marsh would play for the season. He went from the windy pastures of Burbank Oval to the MCG in the space of a week and debuted against arch-rivals Carlton in front of just under 50,000 people. Four further games in the AFL team followed, with Marsh completing his first taste of senior football with 13 disposals and a career-high six marks against Essendon in round 23. He returned to assist the VFL Magpies in their finals campaign, however after a breakout year, it may be the last time in a while that Marsh has to familiarise himself with the VFL’s suburban grounds. The last man added to Collingwood’s senior list ahead of the 2014 season took giant strides in his first year at the elite level. The Sandgroper featured in two NAB Challenge games, winning a total of seven disposals while playing mainly as a high half forward. He fulfilled a similar role in the opening rounds of the VFL season before being switched into defence midway through the year. 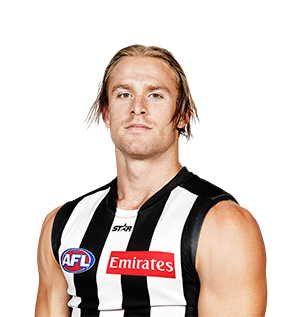 The move was born of necessity, for the Magpies were without defensive lynchpins Nathan Brown and Ben Reid for much of the season. Marsh relished his new opportunity, quickly displaying an ability to blend attack and defence while still shutting down the opposition’s key forwards. His speed off the mark and long reach made him a capable key defender in the one-on-ones, while his natural attacking instincts meant he was able to tally 27 rebound 50s for the season. The coaching staff noted his progress, naming him as an emergency for the senior side’s clash with Hawthorn in round 14. 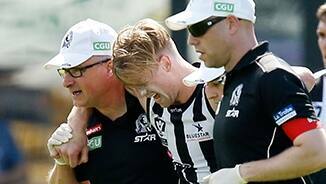 After 14 VFL games, Marsh’s season came to an end when he tore his hamstring tendon off the bone against Essendon in round 18. Marsh threw himself into draft contention after a great AFL Under-18 Championships with Western Australia. His performance against the Northern Territory, where he gathered 22 possessions and kicked four goals, raised eyebrows from talent scouts around the country. The younger brother of Sydney Swan Harry Marsh, who was taken with pick No.46 in the 2012 National Draft, Marsh offers plenty of upside as a tall forward. At the Draft Combine, Marsh won the 20m sprint with a time of 2.78s and finished third in the repeat sprints in a time of 24.18s.